Britton Homes is an award winning remodeling company with high regard for customer service. We provide detailed advice throughout the project while leaving just enough creative control in our customer’s hands so that they get exactly the project they desire. We specialize in room additions, whole house renovations, basement finishing, kitchen and upscale bathroom remodeling. Jim Britton, founder and co-owner of Britton Homes, began his career in 1979 building homes in the Greater Boston area, as well as remodeling projects. He soon found his passion lay in remodeling homes and he went about creating a company with the mission of bringing his clients’ remodeling ideas to life while exceeding their expectations of service. It was this passion for impeccable delivery that lay the foundation for the Britton Homes team today. From start to finish—we want you to come away saying, “Wow! That was a fantastic experience.” Many of our clients with larger renovation projects will come to us with architectural plans already created. We welcome the collaboration with you and your architect and our clients often remark that we make the process effortless. And for clients who have an idea–but need help with the next step, we are thrilled to use our design experience or refer an architect where appropriate and tailor a solution to your specific tastes. We are best known for our large-scale restorations of stately older-homes in the Boston area and in the last 5 years have also completed several new custom homes in period styles. We have undertaken countless period Additions -- which must be carefully integrated with the original home's design and character -- and numerous Kitchen/Family Room projects for great clients and designers. We love working with gifted Architects & Interior Designers, and can also help clients find the right Designer for their project if an historically sensitive approach is preferred. 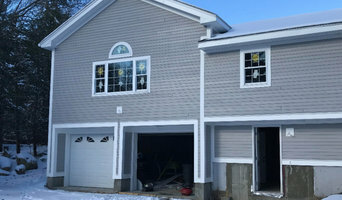 LS Winston Building Co. is a full service remodeling company out of Walpole, MA. We specialize in design/build solutions; creating spaces that are both functional and aesthetically pleasing. Stillwater Building and Renovation, LLC. is a premier locally owned and operated general contracting firm specializing in fine carpentry and custom residential remodels, renovations, and additions with a focus on built in features and cabinetry. With over 20 years of combined experience in various aspects of the construction industry Stillwater Building and Renovation was formed based on the belief that homeowners need to be able to trust the contractor they select to respect their home. We are a full service design build firm that can integrate the architectural design process with construction planning. We strive to put out a high quality, superior product than any builder in the area. We take the extra time to ensure what we build will last for generations to come, & stand up to the harsh seasons. Design Plus Construction is an award winning, high-end renovation firm in Boston, Massachusetts. We have more than 20 years of experience doing exceptional work for discerning customers in the Boston and surrounding areas. We offer personalized service. Our principal, ensures every aspect of the project is done professionally, from beginning to end. We pride ourselves on completing your project on time and within your budget. Make your dreams a reality with expert home renovations and residential remodeling from Design Plus Construction. We offer architectural services as well as general construction services. A successful and efficient construction company requires a strong combination of craftsmanship and business proficiency. Too often, the scale is tipped too far in one direction. At LCR we strive to provide not only a top quality product, but a well-run, efficient business to keep the production team supported in the field and the process, timing, and budgets clear and accurate for the client. Prather Construction is a family owned and run business proudly serving Massachusetts for over 50 years. Prather Construction has generations of carpenters who have a real sense of craftsmanship and timely work! Owned and operated by Mike and Dan Prather, Prather Construction provides you with the best workmanship and the most value for your dollar of any general contractor today! We will review the site, price the job, fulfill on time, provide you weekly invoices and keep you informed of all the details every step of the way. We truly are a family business you can trust with your home! We are a general construction company, fully insured and staffed for all your remodeling or new construction projects. We offer a 3D project preview for large projects to our clients. We take pride in listening to your needs and understanding your personality to create your dream. We pride ourselves on our quality craftsmanship and attention to your budget, style, and schedule. If you're on the brink of a large home improvement project, remodel, or new build, you'll likely want to hire a general contractor in Weston, MA. These professionals manage all aspects of the job to ensure it's completed on schedule and to your satisfaction. Whether you’re trying to find Weston building contractors for a new construction, or home improvement contractors to spruce up your existing place, it’s important know exactly what role they will play in the project. Read more below for a list of must-ask questions. General, or construction contractors, are often known as project managers. They oversee the entire remodeling or new home construction project and facilitate all day-to-day tasks that move it toward completion. A Weston general building contractor will work with your architect to review plan as you build a house and ensure everything is in place before work is started as well as arrange for permits and necessary inspections. While good local home improvement contractors in Weston will have the skills to handle certain tasks onsite, such as carpentry, he or she is also responsible for hiring subcontractors for the majority of jobs, such as electrical work, painting or plumbing. In addition, the general contractor should be on-site regularly to inspect the progress and resolve issues. Here are some related professionals and vendors to complement the work of general contractors: Architects & Building Designers, Interior Designers & Decorators, Landscape Architects & Landscape Designers, Kitchen & Bath Designers, Specialty Contractors. Home remodeling contractors are a must for successful completion of a renovation. Because of this, it's essential that you do your homework before deciding on the right general contractor in Weston as you remodel or build a house. Inspect bids carefully. Was it ready when the contractor promised it? Was the bid for building a home unusually high or low? Each of these things can be very telling: A late bid may reflect timing standards, and an off-the-mark bid could be code for a pricey premium or a deliberate underbid to score the remodeling job. You should call references, carefully read reviews and visit completed projects in Weston, MA to see if they’re what you expect for your job. Once you do secure your local Weston contractors, read the contract very carefully to be sure everyone is on the same page. Find a Weston contractor on Houzz. 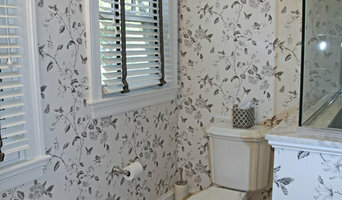 Narrow your search in the Professionals section of the website to Weston, MA home contractors. You can also search for photos in Weston, MA and contact the Weston general contractor who worked on the project.